Early on, I did read a lot, but then as I got older and got too busy with homework and stuff, I stopped. Then my tutor at college asked me if I’d like to try doing the Six Book Challenge. I thought I might enjoy the chance to read stuff I hadn’t read before. I read some poems – I’d read some poetry at school but never on my own before, and it was really interesting to get into the author’s point of view. I’d noticed that when I stopped reading, my spelling got worse. Now that I’m reading again it is getting a bit better, and it’s helping my vocabulary too. 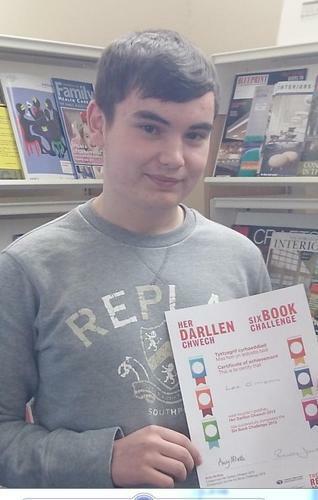 I was proud of myself for finishing the Challenge, I’m reading more and I’m going to keep on reading for pleasure – it helps me to relax.